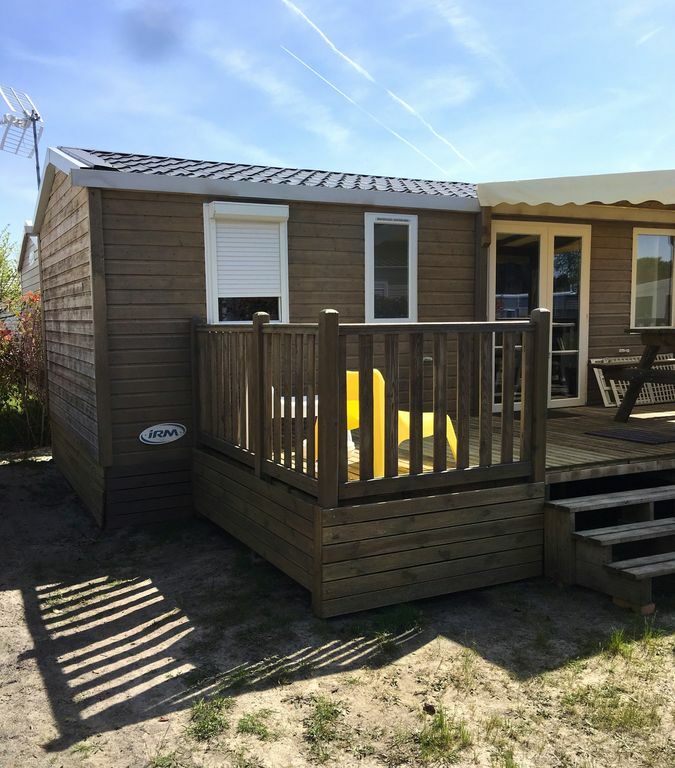 This bungalow, located in Andernos-les-Bains, is ideal for 6 vacationers. It offers 3 bedrooms, a pool access and a furnished terrace. The lounge is perfect for unwinding after a day in the sun. Curl up on the comfortable sofa and enjoy a good book. The kitchen is well-equipped for cooking up your favorite meals. Enjoy your feast around the dining table which seats 6 or outside, on the terrace enjoying views of the garden. The bungalow has 3 comfortable bedrooms, 1 including a double bed and 2 including 2 single beds. The bathroom is fitted with a shower and a toilet. The bungalow features ironing equipment, a vacuum cleaner, central heating and cleaning products. This bungalow enjoys a privileged location that will allow you to enjoy your stay in the area. Many activities await you in the surroundings, such as Fishing, Hiking, Jet-Skiing, Sailing, Mountain biking, Water sports, Golfing, Cycling, Horse riding, Surfing, Scuba diving, Water skiing and Windsurfing. Andernos beach is 2 km away from the bungalow. You will find a supermarket at 2 km. Aiguilles Vertes golf course is 7 km away from the bungalow.